Jack Uldrich is a renowned global futurist, independent scholar, sought-after business speaker and best-selling author. 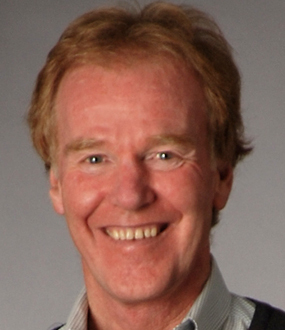 He leading expert in helping business adapt who has served as an advisor to Fortune 1000 companies. 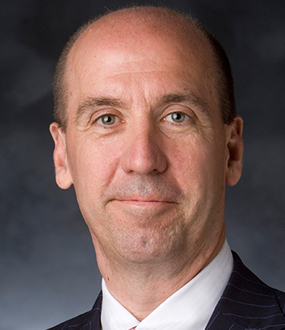 He is known for his ability to deliver provocative new perspectives on competitive advantage, organizational change and transformational leadership. Uldrich has written for the Wall Street Journal, The Futurist, Future Quarterly Research, The Wall Street Reporter, Leader to Leader, Management Quarterly, and hundreds of other newspapers and publications across the country. He writes a daily column for The Motley Fool, and often appears on CNN, MSNBC and National Public Radio. His books include the best-selling The Next Big Thing is Really Small: How Nanotechnology Will Change the Future of Your Business, the award-winning Into the Unknown: Leadership Lessons from Lewis and Clark’s Daring Westward Exploration and The Exponential Executive: Eight Essential Elements for Exploiting the Emerging Economy. Jack Uldrich is a renowned global futurist, independent scholar, sought-after business speaker, and best-selling author. His books include the best-selling, The Next Big Thing is Really Small: How Nanotechnology Will Change the Future of Your Business, and the award-winning, Into the Unknown: Leadership Lessons from Lewis & Clark′s Daring Westward Expedition. His latest book, The Exponential Executive: Eight Essential Elements for Exploiting the Emerging Economy is due out in the fall of 2007. Uldrich′s other written works have appeared in the Wall Street Journal, The Futurist, Future Quarterly Research, The Wall Street Reporter, Leader to Leader, Management Quarterly, and hundreds of other newspapers and publications around the country. He also writes a daily column on emerging technologies for The Motley Fool, and is a frequent guest of the media worldwide — having appeared on CNN, MSNBC, and National Public Radio on numerous occasions. 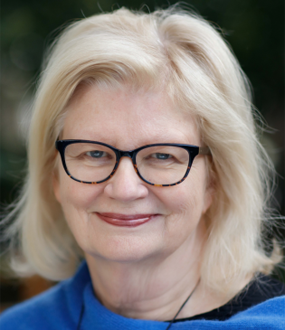 In addition to speaking on future trends, emerging technologies, innovation, change management and leadership, Uldrich is a leading expert on assisting businesses adapt. 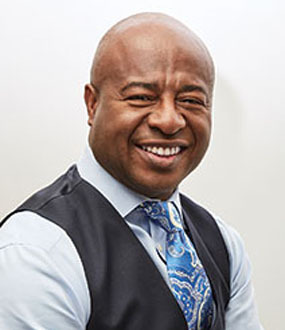 He has served as an advisor to Fortune 1000 companies and is noted for his ability to deliver provocative, new perspectives on competitive advantage, organizational change and transformational leadership. Highly regarded for his unique ability to present complex information in an entertaining, understandable and digestible manner that stays with his audiences long afterwards, Uldrich has spoken to hundreds of businesses and organizations, including General Electric, General Mills, the Young Presidents Organization (YPO), Pfizer, Invitrogen, St. Jude Medical, AG Schering, Imation, Fairview Hospitals, Touchstone Energy, The Insurance Service Organization, The National Kitchen & Bath Association, The National Paint & Coatings Association and dozens more. Uldrich is also known for his willingness to work with clients well in advance of his presentations in order to deliver highly tailored presentations that are guaranteed to help his clients not only profit today, but continue to prosper long into the future. Uldrich goes on to say that the computer industry “just passed the 32nd square last year.” He explains that nanotechnology is “what is going to continue us forward.” He states that nanotechnology is estimated to bring in one trillion dollars within the next decade, and that is a conservative estimate. He continues by discussing the numbers of recent patents of nanotechnologies and the number of workers that will be needed in the industry in the near future. Uldrich is highly regarded for his unique ability to present complex information in an entertaining and understandable manner that stays with his audience long after his program is over. 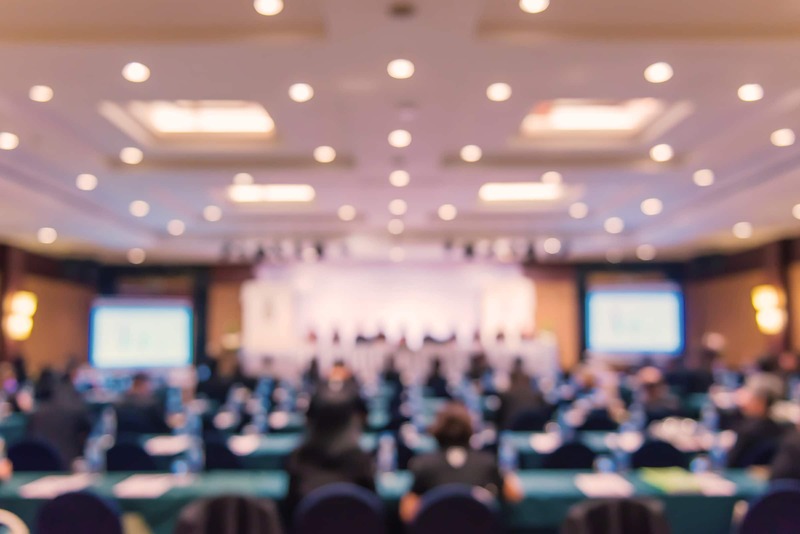 He has presented to hundreds of businesses and organizations, including General Mills, Pfizer, St. Jude Medical, AG Schering, Imation, Fairview Hospitals and Touchstone Energy. He works with clients well in advance of his presentations to provide highly-tailored programs that are guaranteed to help his audiences profit today and continue to prosper in the future. The next decade is less than a handful of years away. What might the world of 2020 like look like? How will you and your business have changed? More importantly, how will you and your organization need to change? The answer, in two short words, is: a lot! Consider this: Six years ago Facebook, YouTube, Twitter, Smartphones and cloud computing were all still in their infancy, and Uber, “The Internet of Things,” and the “sharing economy” didn’t yet exist. Now, fast forward a few years into the future and try to comprehend how accelerating advances in cognitive computing, artificial intelligence, mobile web video communications, virtual and augmented reality, social media, robotics, gaming dynamics, renewable energies, “Big Data”, cyber-security advances and, quite possibly, quantum computing will continue to drive seismic change and deliver paradigm-shattering transformation to nearly every facet of society. It’s not easy. In this engaging and entertaining keynote presentation based on his book (Foresight 20/20: A Futurist Explores the Trends Transforming Tomorrow), globally renowned futurist and best-selling author Jack Uldrich takes the guess-work out of understanding the near future by providing an in-depth exploration of how 10 technological trends will transform the world of 2020. Today, we live in a world where “constant change is the only constant.” New advances in technology bring forth exciting discoveries every day. But often lost in this new reality is the fact that organizations must unlearn old, obsolete knowledge and old ways of doing business, before they can seize tomorrow’s opportunities. In this fascinating, informative and interactive presentation, Jack — hailed by BusinessWeek as “America’s Chief Unlearning Officer”— explains why unlearning is a critical skill for your organization. By 2020, it is estimated that 50 billion physical objects will be connected to the Internet. What does this mean for your business? In a word, everything. The “Internet of Things” is poised to radically transform customer behavior, business models and the nature of business itself. In this powerful keynote session, Jack will not only explain the Internet of Everything, he will help participants understand how they can prepare today in order to prosper tomorrow. As Yogi Berra once famously said, “The future ain’t what it used to be.” He was right. In fact, the future is going to be downright unusual. This begs the obvious question: How do you prepare for an uncertain and unpredictable future? The answer is that you and your organization must think and act in unorthodox ways. In this unconventional keynote presentation, Jack helps his audience unlearn the barriers currently holding them back so they can unlock new levels of creativity and innovation. He then concludes by guiding participants through a series of tangible actions that will unleash their ability to create their own future and, in the process, achieve uncommon levels of success. Winston Churchill once said, “The farther back one can look, the farther ahead one can see.” He was right. And what better time for any organization to look into the future than when celebrating 25, 50 or 100 years of success? Global futurist and best-selling author Jack Uldrich has the unique ability to use yesterday’s history lessons as a prism for helping his clients and his audiences understand how the world of tomorrow will be transformed. He has created dozens of customized keynote presentations for centennial celebrations as well as diamond, golden and silver anniversaries. From organizations as diverse as the Casualty Actuarial Society and Stiles Machinery to the Cleveland Community College and the International Card Manufacturers Association, Jack always leaves his audiences proud of their rich tradition and past accomplishments but poised to confidently create their new future. Find out how he can do the same for your organization or company. Today, the greatest change is the rate of change itself. Put another way, society is transitioning to a period of constant transition. The net effect is that “answers” about the future are decreasing in value. This reality is, paradoxically, placing greater emphasis on the need to ask better questions. In this thought-provoking but practical presentation, global futurist and best-selling author Jack Uldrich shares with his audience how the art and science of framing and asking better questions can not only help individuals and organizations survive tomorrow’s rapidly changing environment but thrive by providing the key insights necessary for confidently creating their own future. 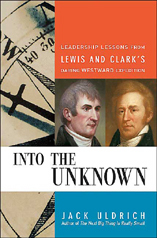 If life is an adventure, no one will ever live it more fully than Meriwether Lewis and William Clark. Commissioned by President Thomas Jefferson to explore the rumored Northwest Passage, Lewis and Clark instead discovered a seemingly endless land whose very existence foretold a future America infinitely different from what had been imagined. May 2004 marks the beginning of a two-and-a-half year bicentennial celebration of their incredible journey and its significance to the history of America. Against staggering odds, these unique men inspired such absolute loyalty in each other and in their group that they are still widely regarded as the most successful leadership team in American history. Most importantly, they had to persevere and change course in the face of adversity. Their lessons will inspire business leaders to take their teams to new adventures of great discovery. 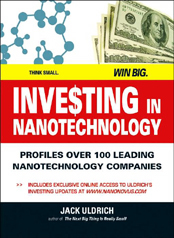 “Although nanotechnology deals with the very small – a nanometer is 1/80,000th the diameter of a human hair – it is going to be huge. From the food we eat, the clothes we wear, and the products we manufacture to the composition of our bodies, everything is made of atoms. And if we can manipulate the atom, then that changes the rules of the game for almost every product.” “Coal and diamonds, for example are both constructed from carbon atoms. It′s merely the arrangement of the atoms that differentiates an inexpensive fuel source from a pricey engagement jewel. While the science of nanotech cannot yet transform coal into diamonds, it is advancing rapidly and will begin to radically alter the business world during the next few years – and will continue to do so for the forseeable future.” “The buzz surrounding nanotech is comparable to that at the dawn of the digital revolution, which changed the face of how business operates. 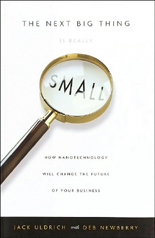 Unlike the Internet, however, which applied new technology to many old processes and businesses, nanotech is about creating entirely new materials, products and systems (and therefore markets), as well as making existing products faster, stronger, and better.” “You may be tempted to wait until the buzz dies down before deciding how to integrate nanotech into your business, but don′t make the mistake of thinking of it as being light-years away. Even though it may sound far-off at times, within ten years nanotech will have huge effects on many industries, including manufacturing, health care, energy, agriculture, communications, transportation, and electronics. Within a decade, nanotechnology is expected to be the basis of $1 trillion worth of products in the United States alone and will create anywhere from 800,000 to 2 million new jobs.” “Nanotechnology will require you to radically rethink what your core business is, who your competitors are, what skills your workforce needs, how to train your employees, and how to think strategically about. *As Chief of Staff of the United States Army before and during World War II, he oversaw its expansion from a force smaller than Bulgaria′s into the mightiest army ever assembled. * He personally mentored future generals Eisenhower, Patton, Bradley, Ridgeway, and others. * He was the first career soldier ever to win the Nobel Peace Prize, and was twice named Time magazine′s Man of the Year. * As Secretary of State, he introduced the plan that would literally save Europe from post-war economic ruin: the European Recovery Program, universally known as The Marshall Plan. 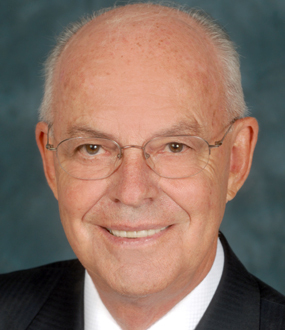 Marshall′s extraordinary career reflects unparalleled leadership capabilities and consummate skills, which Jack Uldrich has aligned with seven overarching principles. 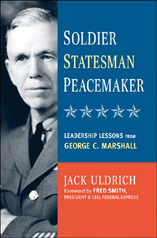 Through shining examples that could only have come from the life of Marshall himself, Soldier, Statesman, Peacemaker outlines these principles and their importance and applicability to today′s aspiring leaders. Winston Churchill called Marshall “the organizer of victory” and “the last great American.” President Truman called him “the great one of the age.” More recently, Tom Brokaw proclaimed him “the godfather of the greatest generation.” An illuminating portrait of an undersung hero, Soldier, Statesman, Peacemaker brings the life and achievements of General George C. Marshall front and center — where they have always belonged.